We finally got our front door installed. Counting the window on top it is almost 10′ tall. 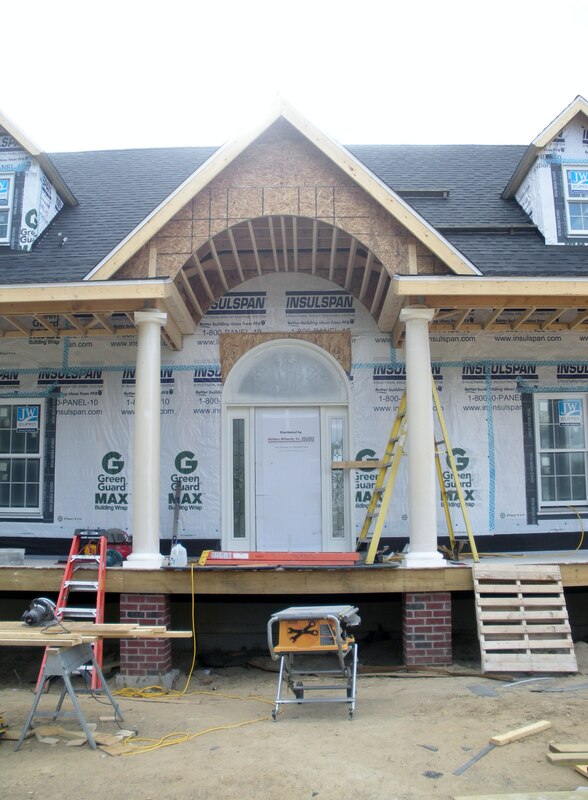 I think it is looking good with the porch columns. Now we have to pick a color to paint the porch floor. 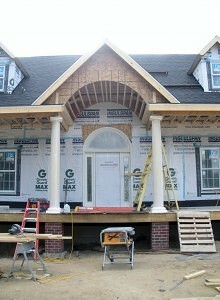 Since the door is big with a lot of glass the builder wanted to wait until most of the porch work was done. It would have ruined my day if a 2×4 went though the glass.